With the Golden Globes done and dusted, Hollywood moves swiftly along to the crown-jewel of its award season: the Oscars. Members of the Academy of Motion Picture Arts and Sciences began voting Monday and their nominations will be revealed in two weeks' time. But are the Globes really a good predictor of the Oscars, as common wisdom holds? To be sure, there is expected to be some overlap. Many of Sunday night's winners and even some of the nominees could feature at the Oscars in late February, including the likes of Bohemian Rhapsody, Green Book, Roma, A Star Is Born, Vice, Black Panther and BlacKkKlansman. 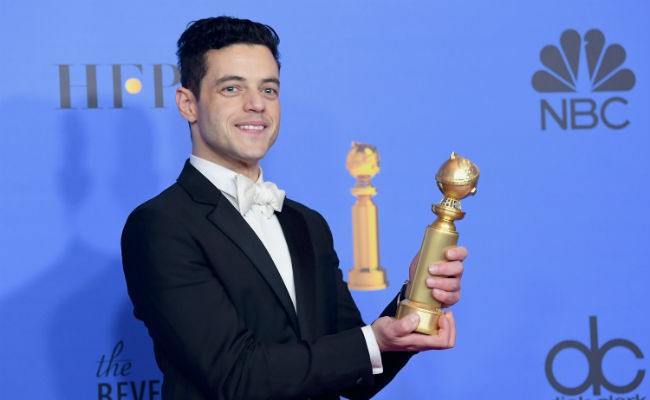 "So while they've probably watched the favorites by now, a Golden Globes win for an underdog might push a voter to give the film a look before submitting their ballot," she concluded. Such could be the case, for example, for Bohemian Rhapsody, the commercially successful but critically panned Freddie Mercury biopic that won best drama at the Globes - its marquee award. "It would be foolish to bet big on a perfect alignment of the winners since historically its usually a crap shoot," said Mr Dergarabedian. According to his analysis, historically the Golden Globes have had about a 50 per cent success rate in predicting the Oscar's Best Picture. The numbers are a bit better at picking actors and actresses, though not stunningly. A major reason is that, while the Golden Globes gives out two best picture awards - one for drama and the other for musical or comedy - the Oscar's has just one. Last year, for example, Three Billboards Outside Ebbing, Missouri won Best Drama at the Globes while The Shape Of Water took home the Best Picture Oscar. Instead, it consists of just under a hundred members of the Hollywood Foreign Press Association, who have an inherently different view of the profession. And they are more pliable to favors offered by studios, according to their detractors. For the most part, they vote within their own categories - directors vote on Best Director, costume designers vote on Best Costume, and so on. Best Picture is the lone exception. In 2009, the process was changed to a preferential voting system to ensure the film with the broadest support wins - not necessarily the movie that the majority of voters put as their top one.